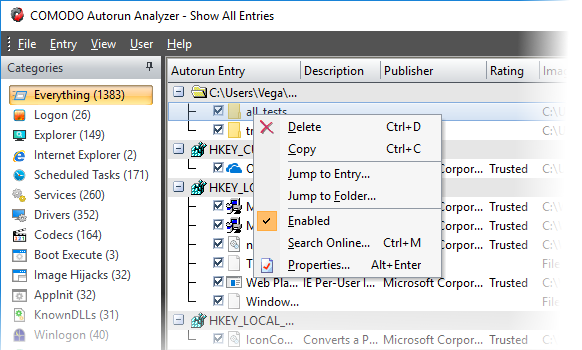 The autorun manager lets you enable/disable startup items, view the registry key and parent application of an item, and view the item's properties. If you remove an item from the list it will no longer be loaded at system start-up. Right-click on the item and select the option from the context sensitive menu. Delete	- Remove the autorun item and stop the parent application from loading into your system during start-up. You can still start the application from the windows start menu if required. Copy	- Adds the selected row to the clip-board of your system. 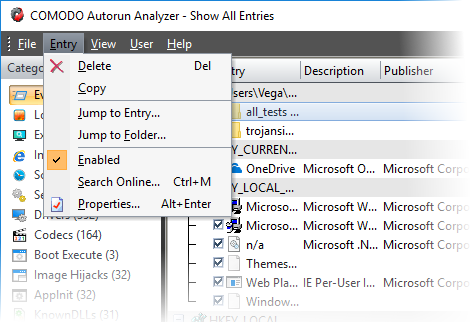 Jump to Entry - Opens the selected entry in windows registry editor. 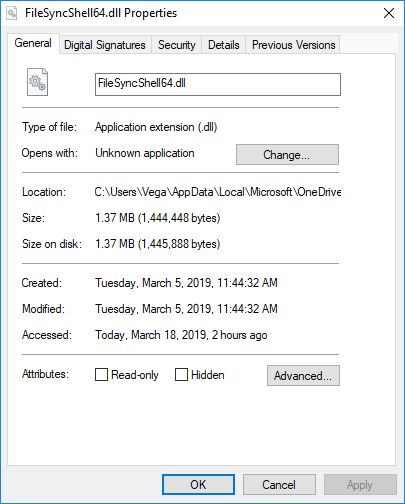 Jump to Folder - Opens the path containing the parent application or the module that loaded the autorun item in windows explorer with the parent application. Tip: You can directly enable or disable an entry from the main display pane by selecting/deselecting the checkbox beside the entry. Search Online - The default web browser of your system with the search engine specified and searches for information on the autorun item. Properties	- The attributes dialog of the selected Module.